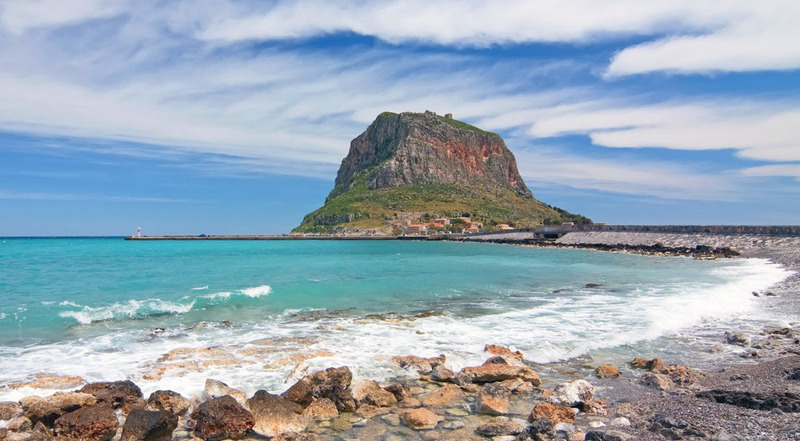 Monemvassia, a place of historical importance and unparalleled natural beauty, lies 95 km from Sparta, on the southeastern coast of the Peloponnese. 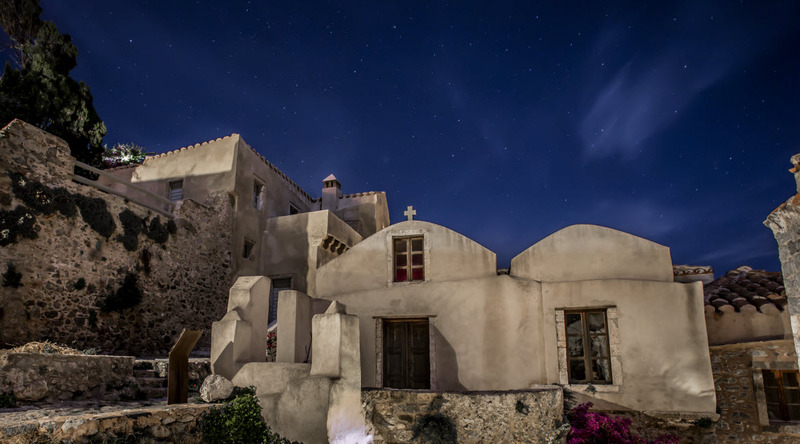 The rock, on which the medieval city is built, is connected to the mainland by a single narrow land strip, from which the town’s name derives (from two Greek words, mone and emvassia, meaning "single entrance"). The old city (lower city), untouched by time but still inhabited and alive, will amaze visitors with its unique architecture, its stone houses and mansions, Byzantine churches and defensive structures. A walk through the narrow, fit only for pedestrians, stone paths of the city will inspire you and take you back in Byzantine times, when Monemvassia was one of the most significant fortresses and commercial centers in the Peloponnese, as well as a place of historical battles. The view from the citadel (upper city) and its single still remaining structure – the church of Aghia Sophia – is a unique experience that will last a lifetime. 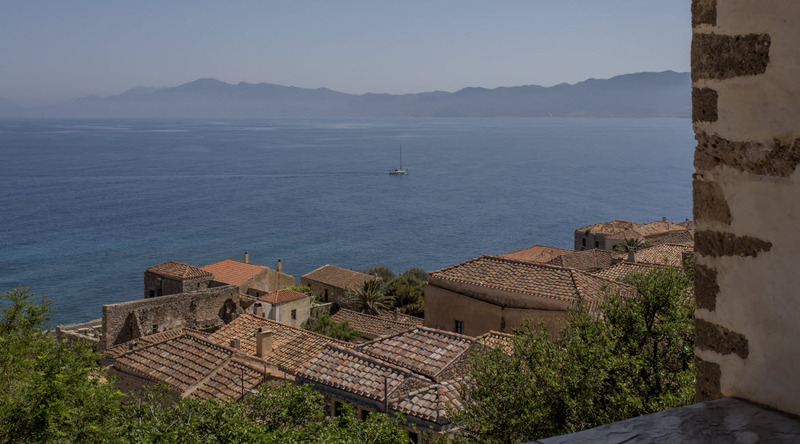 The new town of Monemvassia, located on the mainland, is a picturesque village, providing guests with a wide choice of establishments for food and entertainment. 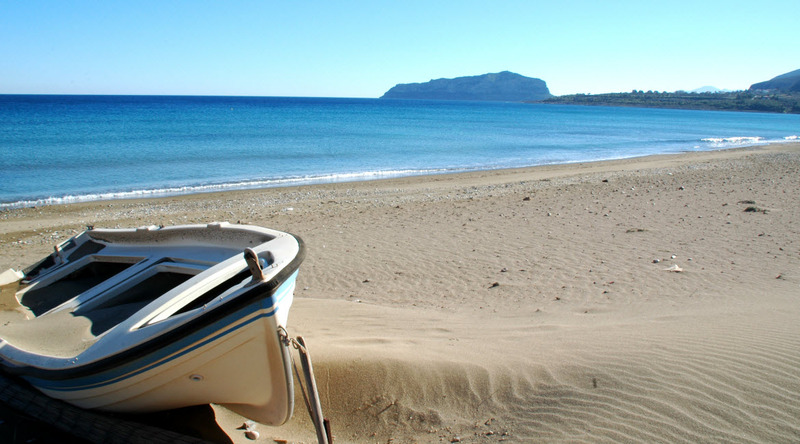 During your stay in Monemvassia, you will have the chance to visit Greece’s only fjord, the port of Gerakas, the caves of Kastania and Diros, Kiparissi and the island of Elafonissos and explore the surrounding countryside as well as the area’s many beaches of crystal-clear water. The view, swimming pool and walking distance to port and taverns was a big advantage. Amazing views of sea and the rock, great clean pool for cooling off, excellent surroundings within the property of other bungalows, felt safe and inclusive. 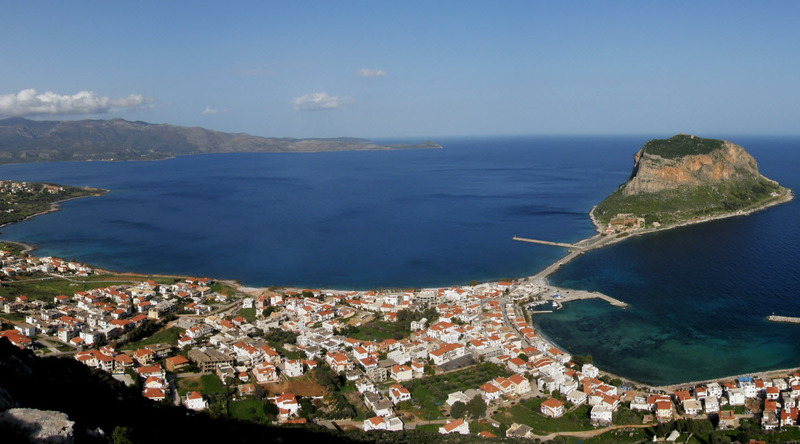 Great location just above the new town of Monemvasia. Proprietor was very friendly and accommodating.